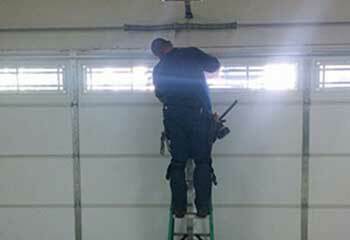 Our technicians have the experience needed to repair garage door systems of every make and model. We will explain the options to you and recommend the best solutions. You can find out more by checking out the latest projects we completed. 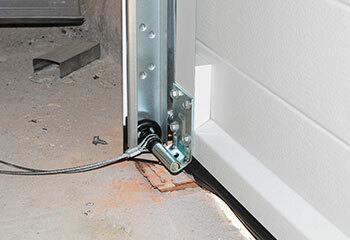 Customer Issue: Mr. Blair’s garage door was struggling to close as easily as it used to. Our Solution: Our team gave a thorough inspection of the system and found that the problem was with the tension. Once the tension was adjusted, the door was tested by our professionals to ensure that it was now closing reliably for our customer. 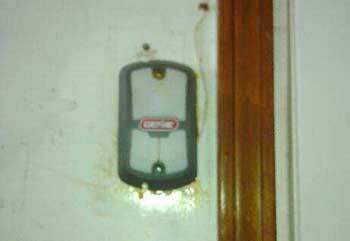 Our Solution: After hearing his door slam shut, this customer called our us in quite a panic. We quickly came over and inspected his system, and immediately noticed that the torsion spring broke. We removed what was left of the old unit and set a new one in its place. We adjusted its tension to make sure the door was properly balanced, and lubricated its coils to ensure its smooth performance. Our Solution: Without properly working rollers, the door could barely move and wouldn't open all the way up. 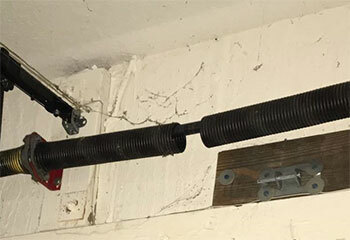 We removed the worn nylon units and installed new steel rollers in their place. We then lubricated the new units and made sure they could move smoothly inside the tracks. Customer Issue: Old remote broke down. Our Solution: The customer’s remote was old and was barely held together with a piece of tape so we weren't surprised it stopped working. We replaced it with the economical Chamberlain Clicker® KLIK3U-SS, which we promptly programed with the customer's opener and then showed him how to use the unit's special features.